Next month will mark the 54th year of the Chicago International Film Festival, continuing the gathering’s mission of introducing Chicagoland audiences with new favorites from all over the world. The festival starts on Wednesday, October 10 and ends on Sunday, October 21, with an exciting roster of movies that have played fests like Cannes or Toronto, along with titles making their U.S., international, or even world premiere. This year’s International Feature Film Competition includes 16 films, and the latest from the likes of Jia Zhangke (“Ash is Purest White”), Alice Rohrwacher (“Happy as Lazarro”), Olivier Assayas (“Non-Fiction”), Christian Petzold (“Transit”) and more. The category will also feature Kent Jones’ Tribeca Film Festival favorite “Diane,” which will be having its Chicago premiere. 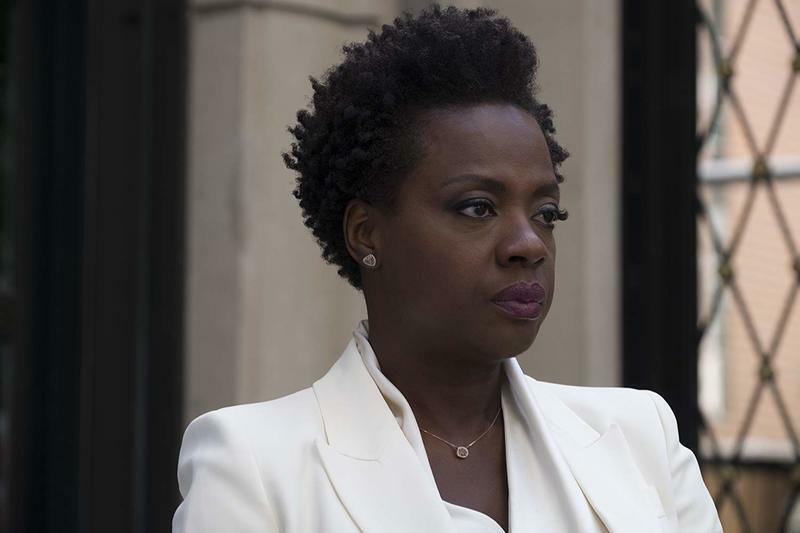 Steve McQueen’s highly anticipated “Widows,” his first film after “12 Years a Slave” from five years ago, will be presented at the festival as part of its Black Perspectives programs, which features nine films and a program of seven shorts. The program continues the festival’s goal of “showcasing excellence in filmmaking from African American filmmakers and the African diaspora.” Along with “Widows,” the program will featured a special showing of George Tillman Jr.’s new film, “The Hate U Give,” a new film starring Tessa Thompson (“Little Woods”), a documentary about “roller-skating’s pivotal role in the African-American community” titled “United Skates,” a documentary about Sandra Bland (“Say Her Name: The Life and Death of Sandra Bland”) and more. Among the festival’s speciality programs, the Masters program is an excellent place to see the latest from the most revered auteurs working today. Included titles are Pawel Pawlikowski’s “Cold War,” Matteo Garrone’s “Dogman,” Asghar Farhadi’s “Everybody Knows,” Avi Nesher’s “The Other Story,” and Mike Leigh’s “Peterloo.” There are also spotlight sections on Comedy and Italy. The festival is a great place to get a leg-up on Oscar contenders in the Best Foreign Language category. Along with Alfonso Cuaron's “Roma,” which is Mexico’s official submission for the category, there’s also Ali Abbasi’s “Border” (from Sweden), “Birds of Passage” (from Colombia) and Hirokazu Kore-eda’s Palme d’Or winner, “Shoplifters” (from Japan). Keeping with the festival’s top interest in promoting women filmmakers, the festival’s “Women in Cinema” program is highlighting 36 features and 21 shorts directed by women. Included titles are: Elizabeth Chomko’s Chicago-shot “What They Had,” starring Hilary Swank and Michael Shannon; “Can You Ever Forgive Me?” by Marielle Heller; Julie Bertuccelli’s “idiosyncratic family drama” “Claire Darling” starring Catherine Deneuve and many more. The full schedule can be found at the Chicago International Film Festival's website here. Be sure to check back at RogerEbert.com often as we dive deep into one of world's finest festivals.